A craftsman who was essentially recognized Andrew Koku has uncovered why he killed his a half year old child, Precious Koku, on Christmas Eve. 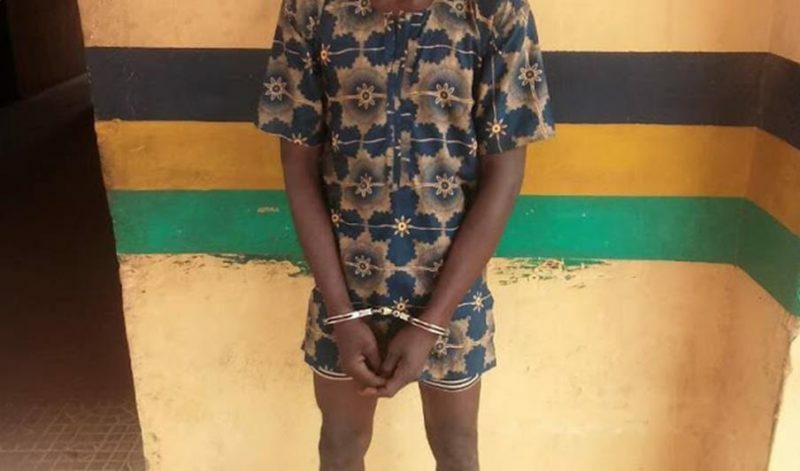 Andrew, who dwells at Ayedere people group in Obada territory of Abeokuta, Ogun State, said he deliberately killed the infant to free him from an expected weight of tending to the neonate, should the mother escape the marital home to meet her ex – spouse. The suspect was captured by policemen from the Adigbe Divisional Headquarters same day the wrongdoing was submitted. It was learnt that Andrew’s significant other had left the infant with him on Christmas Eve while she exited for her ex – spouse put, yet came back to meet the dormant body of the child. Also, suspecting treachery, she revealed the occurrence at the Adigbe Divisional Police Headquarters where agents were point by point to capture the man. The Police Public Relations Officer in the state, Abimbola Oyeyemi, who affirmed the capture, said Andrew had admitted to carrying out the wrongdoing. “On interrogation, the suspect confessed to the crime but claimed to be suspecting that his wife wanted to leave him for her ex-husband and that if that should happened, he will not be able to take care of the baby and that was the reason why he decided to eliminate the child,” Abimbola stated.